The San Francisco 49ers almost had their second win of the season, if it weren't for Aaron Rodgers. 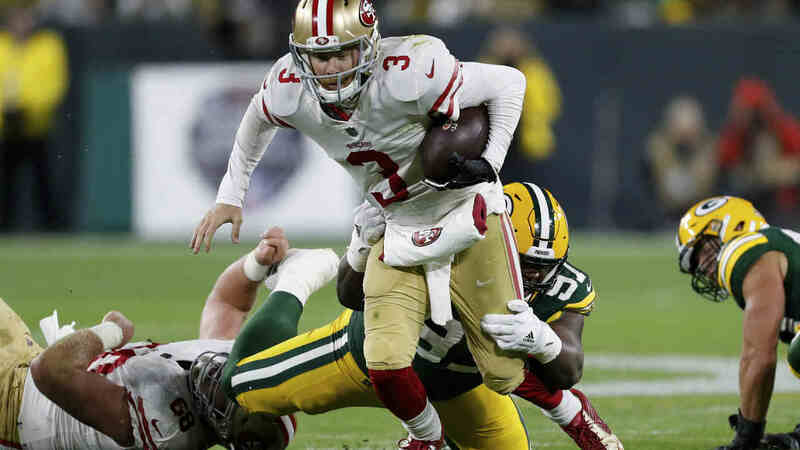 The Niners led the Packers 30-23 at the two minute warning, but a touchdown and field goal lifted Green Bay to a 33-30 win. See more stories, photos, and video on 49ers. Programming note: Tonight's episode of "Dancing with the Stars" and "The Good Doctor" will air in their entirety immediately following the game. Watch or record Monday's full episodes of "Jeopardy!" and "Wheel of Fortune" overnight starting at 2:30 a.m.